-- but then he had a stroke and the laughing stopped...'cause he died. 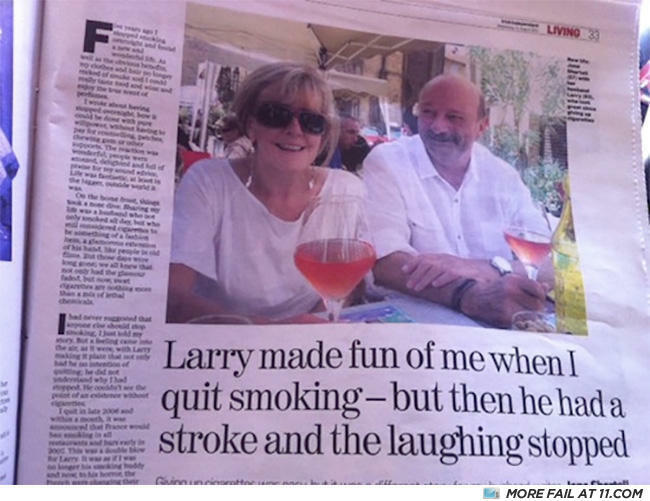 Take that Larry. ...because I took a mallet hammer to his foot. Gawd I'm moody without nicotine.